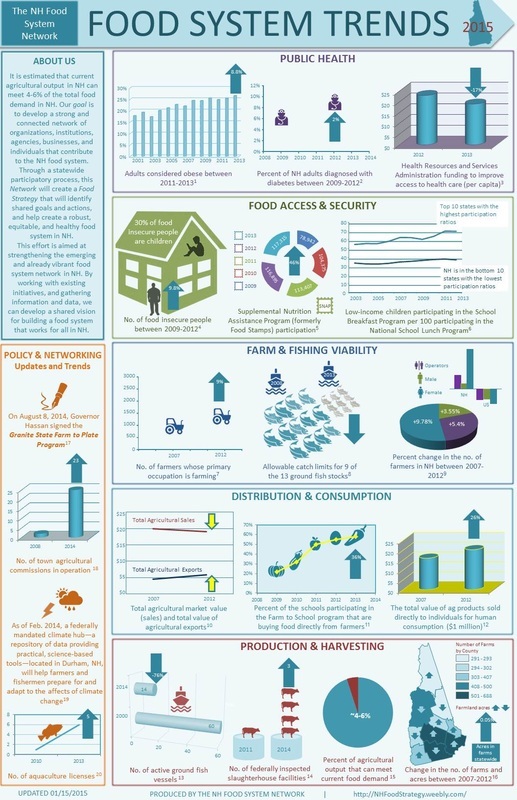 This infographic depicts a subset of facts about the six indicators chosen to describe the New Hampshire food system. Specifically, the facts help paint a picture of the food system and provide us with reference points for later developing benchmarks and metrics for tracking our progress. This infographic frames the format of our data collection efforts, and is intended to stir thoughtful discussion about NH's food system. It was developed by the Process Team with input from the Strategy Team, and will be updated periodically as a result of your input and as new data becomes available.